I Run a Store - Do I Need a Retail Website As Well? I run a retail store – do I really need a website? 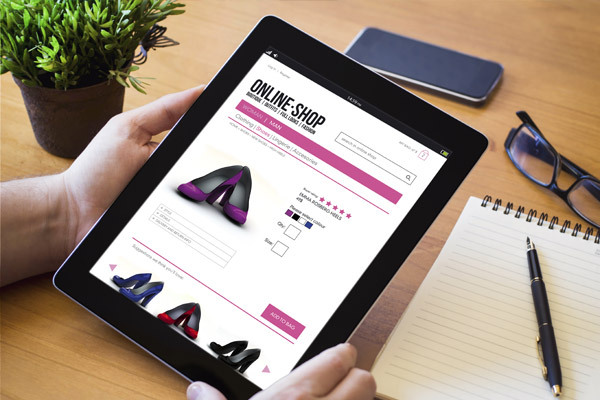 Home News I run a retail store – do I really need a website? Consider this, you need to find something or someone, or you want the answer to a question. Where do you look? There’s a fair chance you pick up a phone or laptop and ask the search engine. So it makes sense that when you’re running either a one-off, unique boutique store or a large corporate chain, you should have your own retail website. For example, you sell high-end prom dresses. When it comes to prom season, every teenage girl will be searching the Internet for the nicest prom dresses and where to try them on near to their home. Without a website to capture that enquiry, you will likely never see that sale. Even for a grocery store, consumers love to shop at where they can find the very best offers. And if they look at your website and they see some great offers on their favorite products, your customer will naturally choose you over a competitor who is not offering great deals. In fact, a new report by Apadmi stated that 41% of people would download a retail app to complement the instore experience of their favourite stores. So it makes sense to have a great retail website, right? A common misconception is that if you sell all your products online your customers may buy there instead of visiting your physical store. In fact, that is not the case. There are great ideas to help the website and store work together. If this is a concern, try having a range that you can only buy in-store. Demonstrate this online but keep it that they can only be purchased in a store. Or how about a reserve and collection facility? Not every store can carry every product in every size. However, with a great website your customer could reserve the product online and have this sent from the warehouse or another store to collect locally. Ideal for everyone as when they visit your store to collect it’s the perfect time to catch their attention. This can be done with point of purchase displays, innovative window graphics or wall graphics. All to help make additional sales. Or how about a reserve and collection facility? Not every store can carry every product in every size. However, with a great retail website, your customer could reserve the product online. They can then have this sent from the warehouse or another store to collect locally. Ideal for everyone as when they visit your store to collect it’s the perfect time to catch their attention. This can be done with point of purchase displays, innovative window graphics or wall graphics. All to help make additional sales. It’s important to remember that in this digital age, that your retail website appears professional and up to speed. A badly designed, difficult to orientate and slow website that isn’t regularly updated is worse than not having one at all! It might seem overwhelming to think that a website needs designing, maintaining and updating – but AGRetail are here to help. Not only can we offer help with branding and instore solutions, but we can help with web design and development for retail along with SEO and ecommerce. Be found by more customers, call us today!